Taylor is a full litter sister to CH Geran's I Did It My Way, CH Geran's My Red High Heels & CH Pointed Geran's Down To My Last Dollar. 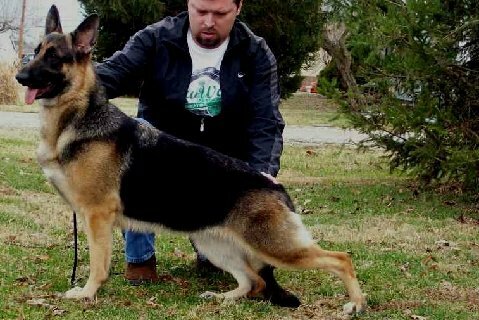 Although she does not posses the rear angulation as her litter mates do. 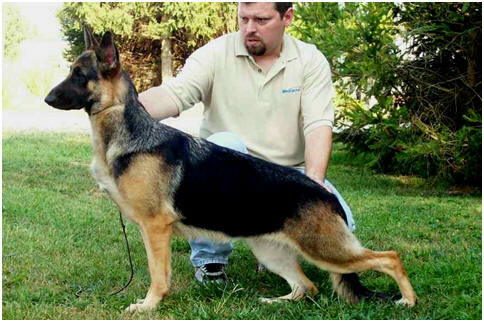 But she does have that incredible shoulder that her Dam CH My My is known for producing. Taylor will start her show career in 2010. Owned by Naomi Hilburn and Geran's.